Welcome, this blog section provides some studies with tabs, charts and chord shapes to learn how to play jazz standards on guitar. "Solar" is a jazz standard written by Miles Davis in the key of C minor with four tonal centers that are : C minor, F major, Eb major and Db major. Solar contains essential chord progressions as major and minor II V I. 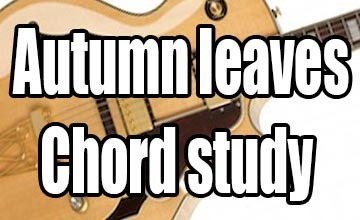 This lesson provides a short harmonic analysis and a chord melody arrangement for guitar with tab, standard notation, chord shapes and audio file. Focusing on jazz standards is surely the best way to accelerate the learning process of jazz guitar, making sure to choose easy songs with a few numbers of chords and melodies that can be easy to hear, play and memorize. When learning jazz guitar, it's very important to spend time learning famous jazz songs, it is an essential part of being a jazz musician. Many guitar students are able to play a ton of chords, arpeggios and scales but they can't play a jazz tune mixing both the melody and the chords. 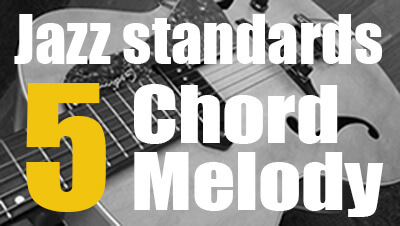 Here are 5 easy chord-melody arrangements of popular jazz songs for beginning jazz guitarists. Each lesson is available for free as a YouTube video with guitar chord diagrams overlayed in real time. Listening to instrumental and vocal versions. Playing basic chords (drop 2 and drop 3 voicings). Learning to play the melody. 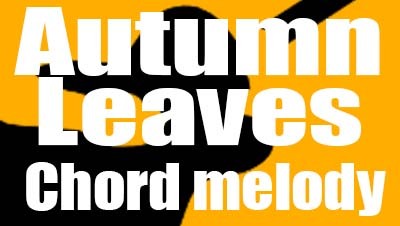 Autumn leaves is a 1945 song composed by French musician Joseph Kosma. The original lyrics are in French, written by Kosma but in 1947 Johnny Mercer wrote the English ones. Since that time it has become a very popular song and surely one of the most played jazz standards. This song is in a AABC form (32 bars), very much appreciated by beginners because the harmonic progression is pretty simple to play and easy to understand. It covers a very important chord sequence found in jazz, the ii-V-I both in minor and major. A big part of learning jazz guitar means building his own repertoire of pieces. Here is a list of 10 jazz blues songs every beginning guitarist should know. This short list covers a range of jazz blues chord progressions and their different variations (form, tonality, Harmonic structure) with a brief analysis. It also represents the most played jazz blues tunes at jam sessions. A“standard” or “jazz standard” is referring to a popular music piece and/or jazz music composition that is held in continuing esteem and is frequently used in musical repertoire. Many of these “jazz standards” were not necessarily originally jazz compositions. 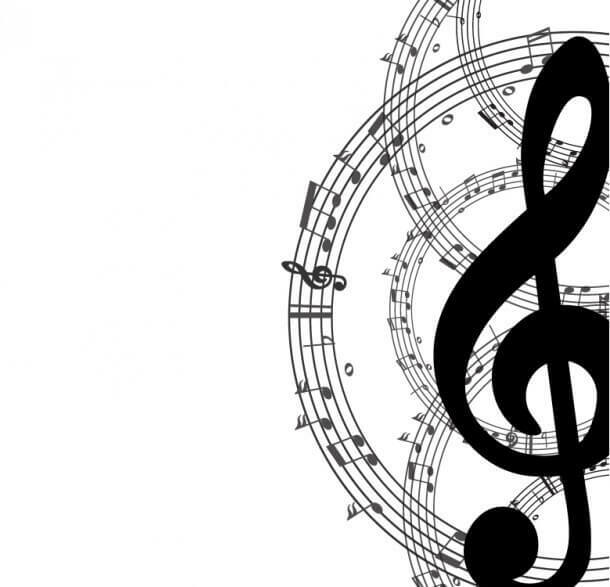 Music publishers include the term “jazz standards” in a description or a title they nearly always are referring to compositions used as the basis for improvisation or jazz arrangements. You will find in this post a non-exhaustive list of jazz standards and their original keys to practice at home or in jam sessions. "There Will Never Be Another You" is a popular song by Harry Warren (music) and Mack Gordon (lyrics). It is one of the most known jazz standards and an indispensable study for any jazz guitarist. This jazz guitar comping lesson provides you different chord voicings (drop 2, inverted, rootless and extended chords) on the top four strings of the guitar to comp over this jazz tune. By the way, it will also give you some new ideas to support harmonically a soloist. 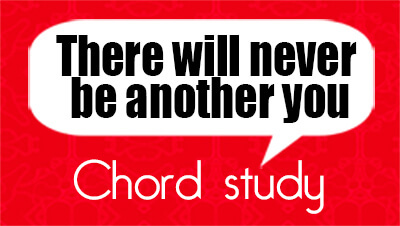 Indeed, you may even try to apply these chord voicings to the tunes you are used to playing. Misty is a jazz standard written by Erroll Garner following a 32-bar progression in the key of Eb including some common chord sequences as II-V-I, I-VI-II-V. A very popular ballad that has crossed over genres of music for the past 50 years (1959). This post in analysis of this song reffering to the realbook including a youtube video lesson about a chord melody arrangement for jazz guitar.